I'm a big fan of Titanfall 2 but the HUD design doesn't feel very considered. I thought this would be a great opportunity to dissect what is a happening on screen. My direction is a combination of screen shots so not all the element will be shown at the same time but I think it's important to consider how they all can potentially overlap. 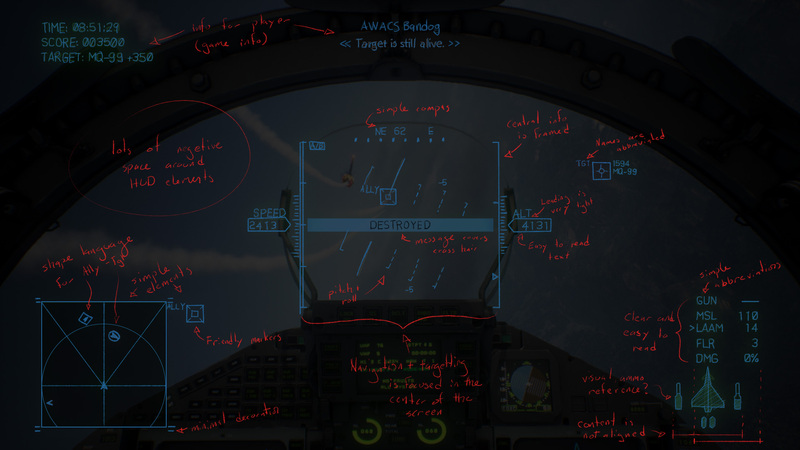 I think this is from Ace Combat, really I just liked the simplicity of the HUD. I'm not sure what this is from but it looks like it's from a film or film concept art. I think this added some nice verity between the three HUDs. 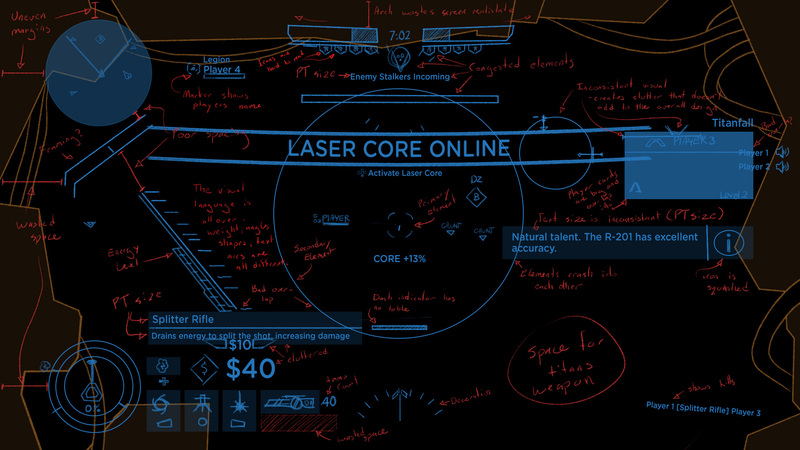 The assignment was to dissect and analyse 3 HUD designs.